From the streets of Dublin to the coast of County Cork, make sure you're covered for your holiday to Ireland from just £12.25* per week. For many UK holidaymakers, Ireland seems only a stone's throw away. It's easy to underestimate just how much it has to offer! 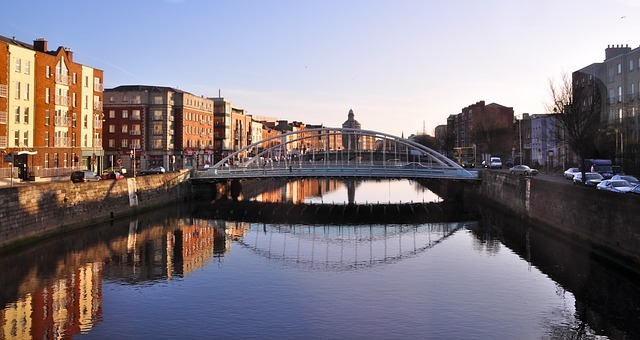 Dublin was voted the best place to travel in 2015 by the Lonely Planet Guide. With tasty food, great people and good music, the cultural experience is second to none. Now you might feel close to home but, holidays in Europe don't always run smoothly. To make sure you can iron out any hiccups, book your holiday insurance well before travel - otherwise, you might be faced with a hefty bill! Our Ireland travel insurance policy provides cover in the event of lost baggage, unexpected cancellations and unforeseen medical expenses. Catching a flight to Ireland won't take you more than an hour and a half from the UK. Such close proximity to the UK can ease the stresses that come with travelling to far-flung destinations. However, you should always remember to bring the correct form of photo identification with you. For some airlines, a passport is mandatory but, there are some airlines that allow passengers to travel to Ireland without a passport. Instead, a full UK driving license is an acceptable photo ID. For a more unorthodox way of experiencing Ireland's landscape, why not get an interrail ticket and whizz around the country via train? For more information on interrailing, check out our interrail travel insurance page. It's always better to be safe than sorry, so make sure you check with your airline or ferry company what photo ID is required before departing. If you're an intrepid trekker, you're never too far from a deep breathe of fresh country air in Ireland. There's plenty of trail walks to explore and hiking to be done on the Emerald Isle. If you stick to hiking in areas with altitude levels of 1,000km and lower, both our Single Trip and Annual Travel insurance policies can cover you should disaster strike because we provide financial protection for over 100 sports and activities. If you’re looking to head higher than that you can get extra cover as an add on. If you're a more experienced walker, this means you're covered to take the most popular route to Ireland's highest peak, Carrauntoohil (Co. Kerry), via the Devil's Ladder. If scrambling across a gully doesn't tickle your fancy, you might prefer a flatter walk along the canalside of The Grand Canal Way, Co. Dublin. Stretching 80 miles, this walk has ample to offer in the form of pretty villages, wildlife and canal views. For a shorter walk of 7 miles, and a fantastic view to reward your efforts, walk no further than The Brandy Pad, Co. Down. Stretching across the Mourne Mountains, an old smuggler's path will lead you across the northern section of the highest mountain range in Ulster. Before you travel to Ireland, make sure you've received your free EHIC. Although a European Health Insurance Card grants you access to emergency medical treatment, it doesn't act as a substitute for comprehensive travel insurance for Ireland holidays. It might be tempting to ignore advice to save a few pounds but, an EHIC won't provide cover for cancellation costs, lost baggage or personal possessions like a good holiday insurance policy will. If you're planning on hiring a car on your trip to Ireland, or bringing your own. Although home doesn't feel too far away, there are still a few differences between driving in the UK and Ireland. Speed limits and distances are measured in kilometres. You can receive on the spot fines for parking offences. Popular filming locations for the likes of Game of Thrones and Harry Potter - The Cliffs of Moher, County Clare are truly breathtaking, particularly at sunrise and sunset - just be wary of the 702ft drop over the cliff-edge. Featuring in the much-loved Harry Potter and the Half-Blood Prince for the scene just outside of the Horcrux Cave, this is one of County Clare's top tourist attractions. 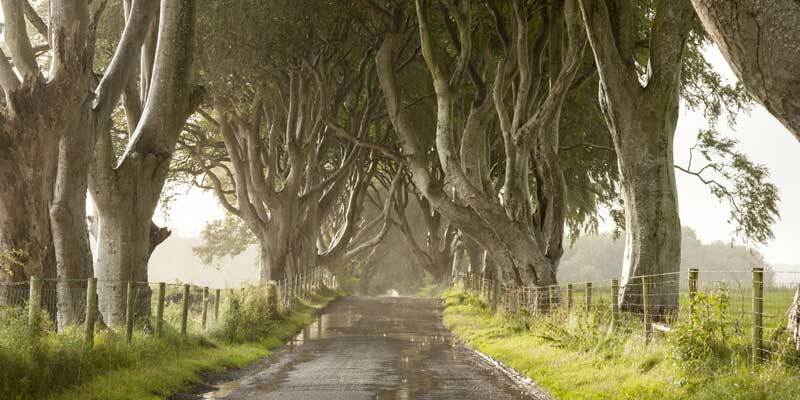 The Game of Thrones series also makes use of the beautiful scenery boasted by Northern Ireland. For example, The Dark Hedges, close to the village of Armoy, are the most photographed natural phenomenons in Northern Ireland. A road lined with two rows of twisted Beech trees line this magical path with the famously ghostly Grey Lady haunting the last tree at dusk. 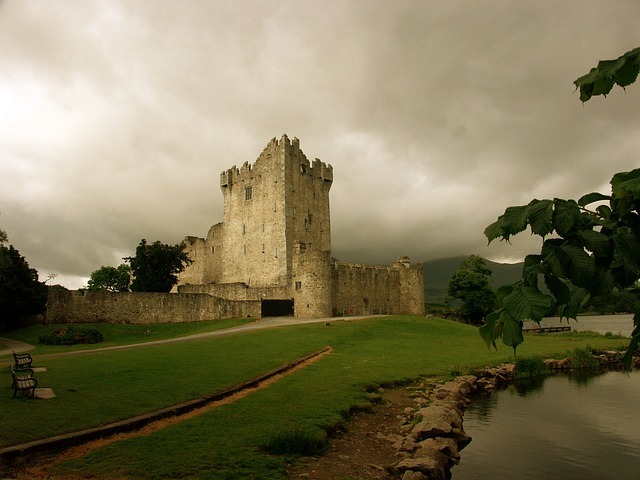 Plenty of castles to explore - Walk through corridors with secrets, clamber over ruins fallen in medieval battle and maybe even plant a kiss on the Blarney Stone at Blarney Castle. With so many Irish castles to roam, you're never far from a historical experience. Some of our favourites include Trim Castle, the filming location of Mel Gibson's Braveheart. Take a trip to Donegal and you'll find Donegal Castle standing tall on a bend of River Esque. If medieval battles take your fancy and stunning views to match, then Limerick boasts King John's Castle to clinch the top spot. Looming over the River Shannon and built under the reign of King John of England, the best view can be taken in from the west bank. Lively and diverse cities enriched with culture - A perfect destination for the whole family or a bunch of friends is Cork City. With markets, shops and plenty of buzzing atmosphere, enjoy literary, music and cultural festivals all year round. Another vibrant city not to be missed is Dublin. Your interest may lie in the medieval features of the city walls or you might be more focused on your stomach. In which case, there are plenty of quirky cafes, restaurants, clubs and bars to enjoy - each with the warmest welcome you can imagine.